Level Two (Modules 4-6) is especially designed for those who are called in to full time, five-fold ministry. Ministers will be established in a firm foundation and receive the Bible basics of qualifications for ministry through courses such as Bibliology, Five Fold Ministry Gifts, and Marriage and Ministry. AFCMITC courses are designed to build a Biblical foundation and provide a disciplined structure to rightly dividing the Word of God. 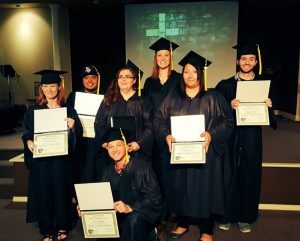 Students will receive instruction in principles of faith/biblical studies, as well as training for five-fold ministry. AFCMITC is presented in approximately 57 courses packaged in six modules. After the completion of Level One (Modules 1-3), students will receive a diploma. Level One must be completed before enrolling in Level Two. After the completion of Level Two, students will receive a second diploma and may be eligible for licensing through AFCM, provided they meet all the necessary requirements. Host schools set their own tuition fees to offset the cost of the school. Growing up is a process. Our goal is to help you to discern where you spiritually in you growth with the Lord. Then after you’ve located yourself, you should be able to take the necessary steps to grow out of that stage and ultimately grow into full maturity spiritually with the Lord. Why is it that the ministry seems to have such a high casualty rate? It is estimated that for every ten young men who graduate from Bible School or Seminary and enter ministry that only one of them will still be in ministry when they reach retirement age. Jesus Christ, the Head of the Church, is getting His Body ready for His soon return. That’s why it is vital, for those who are called into the five fold ministry, to function in the proper place in the Body of Christ. We will look at the offices of Apostle, Prophet, Pastor, Evangelist and Teacher. We need to see how they are to function in the Body of Christ today with a biblical balance, avoiding radical viewpoints and extremes. This class will give students a foundation for understanding what Biblical missions are and what they are not. It begins by looking at the history of missions followed by current trends and strategies and finishes strong with what we the Church must do to reach and disciple people from every nation, tribe, tongue and people group. Every student will know the correct answers to the following three basic questions: What is the primary task of the Church? Who is a missionary? And where is the real mission field? Marriage was instituted by God to bring the ultimate happiness, fulfillment and pleasure into our lives. In this course, we will discuss how to balance the roles of husband and wife, along with the ministry so that we may preserve and enjoy the benefits of this God-given covenant. identified and examples of each looked at in the scriptures. To be accountable simply means “to be answerable.” Accountability means “worth, standing, importance.” It is also a word of contradiction. It equally means, “kill, capture, or disable.” We are people of accountability. Before the foundation of the world, God called us to be accountable, to give answer for our lives. Depending on whom we answer, we are either going to be people of “worth or right standing” with Him, vitally important in the Body of Christ, or we are going to be people who are “killed, captured, and disabled.” We need to answer correctly. The Bible states a man has joy by the answer of his mouth. So we are going to study accountability, what it truly is, and what happens when we don’t answer correctly. The doctrine of the church, or ecclesiology, is the study of the church in its nature, ordinances, ministry, mission and government. Since the church is the Divinely constituted body through which the Gospel is preached and believers are matured, the careful study and clear understanding of it are obviously important. The God of the Bible is a God who speaks. From creation, all down through history, God revealed Himself by speaking. It has pleased God that revelations of Himself have been preserved for Mankind today in the book called “The Word of God” or the Bible. The Bible is the account of God’s effort to reveal Himself to man. Therefore, it is important, that we understand something concerning the Bible’s origin, its formation, its authority, inerrancy, and Divine inspiration. These will be considered under the study of Bibliology. development receive instruction on how to set and maintain excellence of ministry. We have been entrusted to deliver God’s message to people, believers and unbelievers alike. This stewardship cannot be approached or handled lightly. This course is designed to guide and provide you with the tools, principles, and disciplines that will equip you to be an effective communicator and not just a speaker. This eight-lesson course on Spirit-led Prayer is designed to assist the student in learning the basics of praying out of his or her spirit to the Lord. Critical to all believers is the necessity of understanding how to effectively pray. It begins by spending intimate time alone with the Lord on a regular and consistent basis to deepen one’s fellowship, which then leads to praying effectively for others. Illustrations of spirit-led prayer will be initiated during class time to assist the student in cultivating that “alone time” with God, corporate praying, as well as preparation for a lifetime of spirit-filled praying and living the spirit-led life. Have you ever wanted to help someone, but felt inadequate? The principles conveyed in these lessons are valuable and vital whether you are in the five-fold ministry or are a lay-person in the church. Your usefulness to the Lord will increase as you learn how to convey God’s care and compassion to people in need! This six-session course on The Local Church is intended to help the student develop a biblical overview of God’s purpose for His people on the earth. In addition to the biblical perspective, practical perspectives will also be shared in order to help establish and maintain a healthy, functional, and effectual local church. Theology or the Doctrine of God is a very important subject. God is man’s highest good; He is the Source of life and sustenance, “For in Him we live, and move, and have our being…….”(Acts 17:28a). There is serious doubt that we can really know ourselves and our purpose in life without some degree of knowledge of God and His will. Instead of describing the study of all biblical truth, we will more specifically describe the study of God, His existence, nature, names, attributes and works. How do we get “unstuck” from old seasons of defeat and frustration where we’ve been trapped for so long? How do we get rid of the hurts, disappointments, and failures of our past once and for all? How can we perpetuate and increase the blessings God desires for us to carry from season to season? So, get ready to embrace a new season! In this day we live in too many believers base their lives by the title they hold and try to force people to respect them because of their title. Titles are not worth the paper they are printed on or the ink that is used to print it. Character is what makes a man or woman useful in the Kingdom of God. And the title that God gives us is the title we need to live by!! That title is Faithful Servant. Vs. 26 Yet is shall not be so among you; but whoever desires to become great among you, let him be your servant. Vs. 28 …….just as the Son of Man did not come to be served, but to serve…..
Luke 16:12 And if you have not been faithful in what is another man’s, who will give you what is your own? If one wants a clear and harmonious understanding of Scriptures, it is important to become well acquainted with God’s plan of the ages and dispensations and their outstanding features. burning desire to see the lost come to Christ and the prodigal come home. This course is designed to help people go, live successfully and finish an assignment on the mission field. To those thinking I’ll never be a missionary, (never say never), but even if it’s true you could easily find yourself in a position to help someone called to do so. Furthermore, a significant portion of this course covers spiritual, mental and emotional stress associated with major lifestyle change which everyone can go through at some level without even moving to the mission field. This course also covers some practical aspects like raising support to go, finding living accommodations once arrived, to learn or not to learn the language, working with interpreters, interaction with foreign (to you) governments and indigenous Church principles. Do You Know God’s Heart Concerning Marriage, Divorce, & Remarriage? Our passion should be to have the God-kind of marriage! A Spirit-led, love-dominated believer is not looking for an easy way out, but is searching for divine solutions to make marriage work. These messages present vital keys to help husbands and wives fulfill God’s original purpose for marriage. But what do we do when God’s ideal was not realized in a marriage? Divorced people have often been treated as though they had committed the unpardonable sin. Some have been deeply wounded by their covenant partner, only to be doubly-wounded by a church that shames them and condemns remarriage. This course explores what the Bible really teaches about marriage, divorce, and remarriage, and refutes widely held myths and traditions. Most school and church leaders have never been trained in how to respond when sexual exploitation of children is discovered. Sadly, the same is also true of parents. In this course we will learn how to recognize a molester, pay attention to our children, and respond by being prepared. God knows how to reach every person and every group of people. If you will let the Lord have His way and allow Him to operate as He wishes, you may find yourself surprised, just as Paul was, by the kind of power that God can cause to operate through you. Rather than say, “This person is so hard to reach” or “this city is dark and so hard to penetrate,” why don’t you open up your heart and decide to let the Holy Spirit unleash His powerful, creative abilities to work through you? If he did it through Paul, He can do it through you. A one time, non-refundable application fee of $25 is due with your application form. Once your school is approved, you will be notified and the balance for Module 1 will be due. Each module includes approximately eight (8) courses with 65-84 total hours of teaching. Above prices do not include shipping.